Looking for some fun teenage slumber party games to play at your upcoming slumber party? You have found the right place. A slumber party is a great time for teen girls to bond and get to know each other better. You can make memories that can last forever. This list of games will help you make it a night to remember. Some of the slumber party games are wild and zany, others are great for teen girl bonding. Pick out the perfect games for your slumber party. 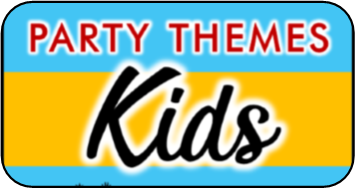 We also have tons of other teen party games , and many of them can easily be played at your slumber party. 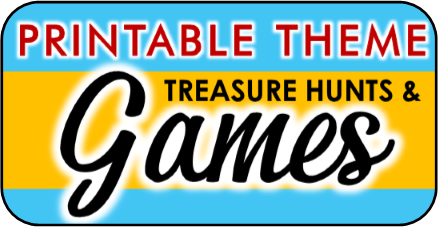 Make sure to check them out when you are finished looking through this page of games. Also like this page for FACEBOOK at the bottom so all your friends will know where to come for the best teen party games. This slumber party game is a BLAST! Instead of volleyball you use a balloon, and instead of hands you must use your feet!! Use a volley ball net if you have one, if not just use a piece of rope or ribbon. Hang the net so that the TOP is only about four feet off the ground. To Play have all the girls remove their shoes and divide them into teams. The teams take their sides of the net and everyone lies on their back. The rules are no touching the balloon with your hands except if you’re serving (then you can use your hand to throw it up in the air to kick it). Score just like you would for regular volleyball. If your party is at night, connect glow in the dark necklaces to make your net and use a glow in the dark balloon for the volleyball. Turn off the lights and have a blast. Have everyone wear glow in the dark bracelets around their ankles and neck to avoid collisions. Have everyone bring something to the party they don’t mind parting with, mayhap a book they are finished with, a cute stuffed animal, a CD. You can also buy some fun items to add such as silly string, nail polish, hair accessories, etc. Some of your friends can offer services such as a coupon for a free makeover, manicure, or hairstyling. Before the auction pass out play money to everyone. You can give everyone the same amount or you can save this game for last and have everyone earn money by playing your other slumber party games. Bring out one product at a time and have people bid on it, start the bids at one dollar and let the fun begin!! Give every player a sheet of white paper or napkin. 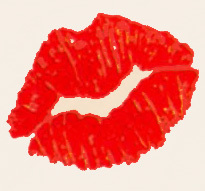 Have everyone slather on the lipstick (the same shade) and make five different kissing prints on their sheet. Don’t show anyone. Mix up all the pages and display them for everyone to see. Everyone must try to guess whose lip prints belong to whose lips. The one who guesses the most correctly wins! Divide the girls into pairs and have them decide who will give the makeover and who will receive it. Blindfold the makeover giver (make sure she can’t peek) and place all make up items in front of the them. The makeover giver must do her best to put make up on the receiver with absolutely no guidance from her. Give the teams about 20 minutes and then judge who did the best job. If you want you can have the teams switch and let the receiver become the giver. Revenge can be sweet if they didn't like their blind makeover. Another fun slumber party game that involves a blindfold is the blind obstacle course. Set up a simple obstacle course with pillows, cushions, etc. Divide the girls into pairs again. One will be the leader the other will be the blind. With only her teammates voice to guide her, the blind must make it across the obstacle course and retrieve a flag (the flag can be anything from a stuffed animal to a hair brush). Then she must make it back through the course to pass it to her team mate. Let each person get a turn to be the blind and have a timer ready to record everyone’s time. The team that has the total shortest time wins! The say the same thing at the same time game! 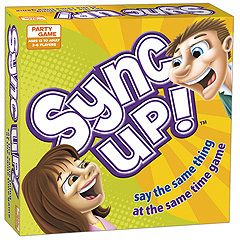 Speaking of the hilarious new party game where players are paired up to try and say the same thing at the same time - SYNC UP! With a variety of fun categories, only a few seconds to answer, and a different partner every round, each game is a toss up of who's going to Sync Up! the most to win. To start, one player picks a card, reads the category and the first question followed by Ready. Set. Sync Up! (to give partners a quick moment to think.) So for example, the category is pizza and the question is a a meat topping... Ready. Set. Sync Up! Couples shout out their answers. If they both say pepperoni they move ahead 2 spaces on the game board. If one says pepperoni and the other says sausage, they stay where they are on the board. At the end of each round, players switch partners and play a new card. To make the game more interactive and challenging, players can use Make A Bet Cards to score extra points by guessing how many times partners Sync Up! on each turn. See Amazon Reviews of this game! Come up with your own categories and have a blast! Have a wide assortment of different funky colored nail polish ready. All the girls sit in a circle and one person chooses a nail color and spins it in the center of the circle. Whoever it points to must paint one of their nails with that color. That person then gets to be the next to pick and spin a nail polish bottle. Keep playing until everyone’s nails are wild n’ out. This is an fun game to play before it gets to dark. Divide into teams and make sure each team has a camara to use. Each team gets a list of picture they must try to take in a given amount of time (usually 30 minutes to an hour) depending on your list. Many of the pictures will require the team to work together to create the photo-op. Here is a list of suggestions, many of them are subject to artistic interpretation. see if you can come up with some more. At the end of the photo scavenger hunt which ever team has the most pictures wins. Tip: Give each picture a point value depending on Difficulty. You can try and come up with a bunch of choices before the party or just have the girl’s think of their own during the game. Sit in a circle and have one person start by asking another. The person that answers gets to be the next to ask. Of course the list will depend on what kind of movie you choose. When everyone is finished filling out their list watch the movie. When you see an item call it out and mark it off your list. The first person to get five in a row call out bingo. They are the winner. You can then continue playing to see if anyone can fill up their whole sheet for a second winner. This is an awesome way to pump up the movie fun. Twisted Tales Storytelling Game: Players compete to create the freakiest, creepiest, funniest tale they can by playing storytelling cards. Twisted Tales is the perfect storytelling game promoting goose bumps, creativity and laughter. Vampires Rise Game: Who is a vampire and who is a villager? It's a question of life or death in this fun and frantic party game. 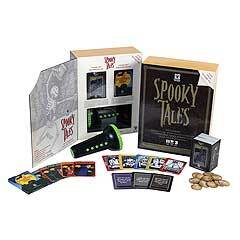 Bluffing and role playing create fun and tension in this game - perfect for any sleepover or camp out.